One of the most under-diagnosed illnesses in the world, Lyme disease is a growing health problem for many nations, especially in the northern hemisphere. Ever since the Dr. Rath Research Institute started its scientific work on the natural treatment of this condition, my colleagues and I have found it puzzling that a bacterium with such widespread and devastating consequences as Borrelia could somehow have escaped the serious attention of medical researchers for more than a century. While a German physician, Alfred Buchwald, was the first to document the disease in a study in 1883, albeit essentially describing it as a chronic inflammation of the skin, the Lyme disease syndrome as we now understand it was not officially recognized until 1975 when a cluster of cases was identified in the United States. Even today, it remains the case that conventional medicine has no reliably effective treatment for the illness. Significantly, therefore, evidence suggests that the 1975 outbreak, which occurred in the town of Lyme, Connecticut, may be linked to biological warfare experiments being carried out nearby by the U.S. government at the time. Although Pasteur, Koch, and others identified the causes of most common infectious diseases over a century ago, the cause of Lyme disease – so the ‘official’ story goes – was not identified until 1982. In findings published in the journal Science which received international media attention at the time, Willy Burgdorfer and colleagues reported that a newly discovered species of bacteria of the Borrelia genus may be the cause of the disease. Thus goes the official history of Lyme Disease. But as stated earlier, this version of the story fails to answer the decisive question as to how a pathogen of such significance could have escaped the serious attention of medical researchers for so long. For anyone seeking the answer to this question, there are several important facts that cannot be ignored. The Plum Island Animal Disease Center (PIADC) describes itself as the United States’ “premier defense against accidental or intentional introduction of transboundary animal diseases (a.k.a. foreign animal diseases) including foot-and-mouth disease.” Established in 1954, it is located on Plum Island near the northeast coast of Long Island in New York State. Now part of the U.S. Department of Homeland Security, access to its high-security facility is extremely restricted. A New York Times report in 2016 described how the visit of a small group of reporters, all of whom had undergone extensive background checks, began and ended with a search by armed guards. Not only were the reporters accompanied by the guards wherever they went, they were also prohibited from using laptop or tablet computers. Photography in unauthorized areas, most of them at the research center itself, which occupies only a small part of the island, was similarly forbidden. While the PIADC claims that its facility “does not and has not performed research on Lyme Disease”, we should keep in mind that the existence of biological warfare experiments on Plum Island during the Cold War era was denied for decades by the U.S. government. In 1993, however, when Newsday unearthed previously classified documents proving that such experiments had taken place, the U.S. government’s denials were revealed to the world to have been a lie. As also confirmed by the New York Times, the documents uncovered by Newsday contained plans to disrupt the Soviet economy by spreading diseases to kill its livestock. In view of this history, any modern-day denials relating to the activities of PIADC should clearly be taken with the proverbial grain of salt. The PIADC’s work on biological warfare is said to have been ended in 1969 by U.S. president Richard Nixon, who subsequently went on to resign in disgrace following the Watergate scandal. Notwithstanding claims and counterclaims over whether the experiments were ever truly brought to an end, one fact remains undeniable: the aerial distance between Plum Island and the town of Lyme is barely more than 17 miles. The distance to the harbor town of Old Lyme, which was also affected by the 1975 outbreak, is less than 12 miles. Lyme disease is just one of at least four infectious disease outbreaks that have occurred in the vicinity of Plum Island. In ‘Lab 257’, a book published in 2004, lawyer Michael C. Carroll argues that outbreaks of the Dutch duck plague virus that devastated duck farms on eastern Long Island in the 1960s, Lyme disease in 1975, the West Nile virus in 1999, and the mysterious 1999 disease that killed most of the lobsters in Long Island Sound all occurred so close to the island’s laboratory that the facility simply cannot be ruled out as the common source. Reviewing Carroll’s book at the time, the New York Times described how it was based on seven years’ research and hundreds of hours spent studying U.S. government documents and interviewing scientists, workers, government officials, journalists, and other individuals involved with or knowledgeable about the PIADC laboratory. Interestingly, Carroll said he originally had the cooperation of the U.S. government’s Agriculture and Homeland Security departments and was even given permission to visit Plum Island six times in 2001 and 2002. ”When they discovered where I was going and that I was going to write the truth, they pulled the plug and cut me off on the grounds of national security,” he said. Describing the PIADC laboratory as a biological timebomb, Carroll cites a foot-and-mouth disease outbreak on the island in 1978 as proof that the facility could be the source of viruses. Saying he found U.S. government records reporting gaps around roof pipes – thus allowing contaminated air to escape or disease-transmitting insects to pass through – he suggests the 1975 Lyme disease outbreak might have resulted from experimentally infected ticks escaping the laboratory and reaching the mainland via swimming deer or birds. Ironically, while U.S. Department of Homeland Security officials predictably dismissed the evidence presented in Carroll’s book, two further outbreaks of the foot-and-mouth disease virus occurred at the laboratory within just a few months of its publication. But as we shall see next, in our search for the truth about the Lyme disease epidemic, there are even darker corners of history that must be examined. Carroll alleges that Erich Traub, a notorious Nazi scientist and virologist, had visited the PIADC laboratory on at least three occasions during the 1950s and that he may have performed outdoor field tests with poisoned ticks. According to Carroll, research with ticks was still ongoing at the Plum Island facility around the time of the 1975 Lyme disease outbreak. Other writers have made similar assertions. In their 2008 book ‘The Nazi Hydra in America: Suppressed History of a Century’, Glen Yeadon and John Hawkins describe how, during WWII, Traub had served as lab chief at Insel Riems, a secret Nazi biological warfare facility in the Baltic Sea. Working directly under Heinrich Himmler, feared head of the SS, the Nazi Party’s paramilitary arm, Traub’s role apparently involved packaging weaponized foot-and-mouth disease virus for dispersal from a Luftwaffe bomber onto cattle and reindeer in Russia. 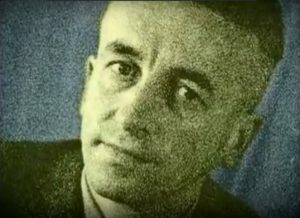 Following the war, Traub is said to have applied for employment under Operation Paperclip, the secret intelligence program that brought leading Nazi scientists to work in the United States. Yeadon and Hawkins allege that he was subsequently at Plum Island between 1949 and 1953 and that he continued to be an active collaborator with the facility thereafter. Describing Traub as a founding member of the Plum Island biowarfare program, Yeadon and Hawkins cite documents showing that he worked with more than 40 lethal viruses on large test animals. Is it possible that the post-1975 Lyme disease epidemic has essentially resulted from top-secret experiments carried out on behalf of the U.S. government? Based on the evidence of history, such a possibility clearly cannot be discounted. 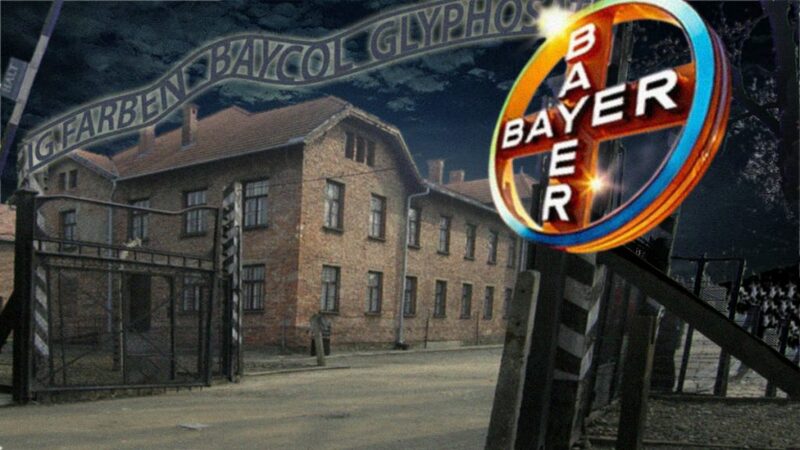 As I pointed out in a previous article, ‘Forced Medical Treatment and Military Experiments with Toxic Chemicals: A Century-Long Criminal History’, for anyone assuming that such experiments had ceased after those carried out by Nazi doctors and the German IG Farben Cartel during WWII, evidence clearly shows that this is not the case. 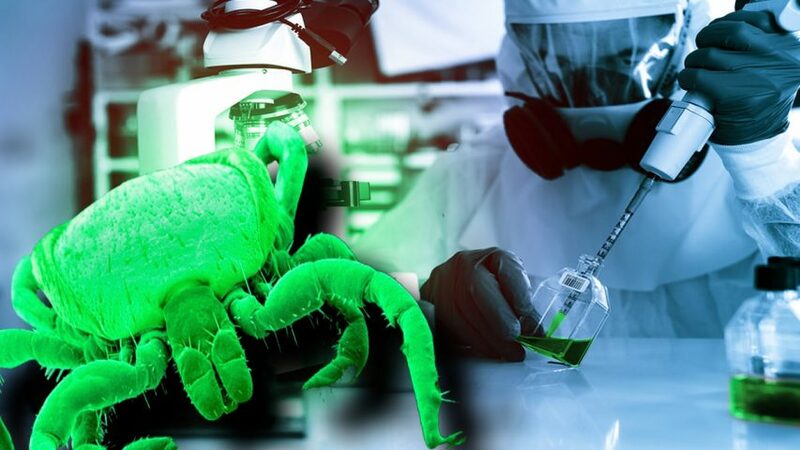 During the past century, not only have they been far more commonplace than most people realize, we already know for certain that they were still being carried out by the U.S. government at around the same time as the 1975 Lyme disease outbreak. Between 1932 and 1972, in one of the most inhumane medical experiments known to have ever been performed in the United States, Public Health Service doctors enticed around 400 poor black men suffering from syphilis into a study whose secret aim, unknown to the participants, was to observe the natural progression of the disease when untreated. Throughout the entire 40-year period of the study the men were deliberately not told they had syphilis and were never treated for it. Known as the Tuskegee Syphilis Study, the experiment not only resulted in the deaths of many participants but also the infection of 40 wives and 19 children born with congenital syphilis. By May 1997 when U.S. President Bill Clinton finally made a public apology for what had taken place, only seven surviving patients were left alive to witness it. With the number of reported cases of Lyme disease having tripled in the United States since the late 1990s, growing numbers of patients are criticizing the medical establishment for its failure to provide proper answers. But given the plausible evidence suggesting links between the post-1975 Lyme disease epidemic and biological warfare experiments, both patients and physicians alike would be well advised to recall the famous observation of philosopher George Santayana: “Those who cannot remember the past are condemned to repeat it.” In medicine, just as in other fields, it is only through learning the lessons of history that we can create a better future.